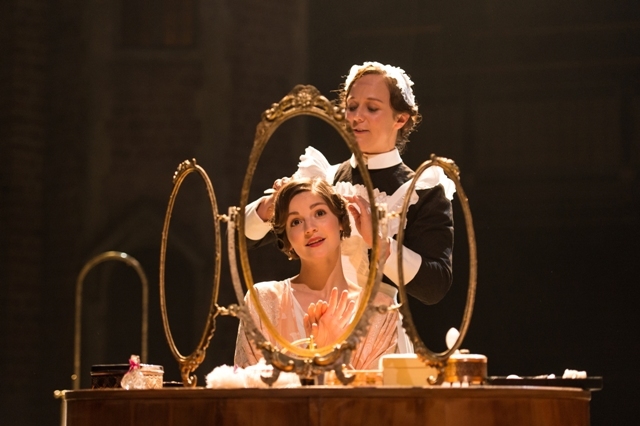 Love's Labour's Won may not ring a bell with many of you as one of Shakespeare's greats, but that's because the Royal Shakespeare Company (RSC) has been taking a few liberties. 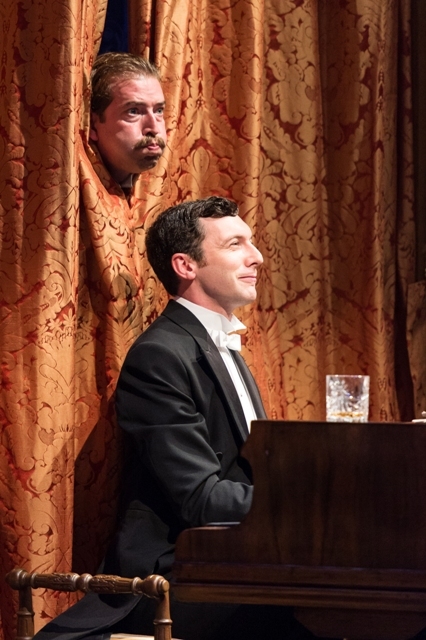 RSC artistic director Gregory Doran admits that although scholars have long debated whether the lost play of Love's Labour's Won was in fact Much Ado About Nothing or a completely different mystery piece of work, he is "sticking his neck out" on this occasion and making the claim as well as linking it with the other Winter Season production, Love's Labour's Lost. It's the first time that the RSC has teamed these two plays up in this fashion and the move has drawn out striking similarities between the two, despite featuring very different characters. Director Christopher Luscombe has set both of the plays around the First World War with Love's Labour's Lost at its brink in 1914 and Love's Labour's Won at its close in 1918. It's an apt choice in this 100th anniversary year since the outbreak of World War One. 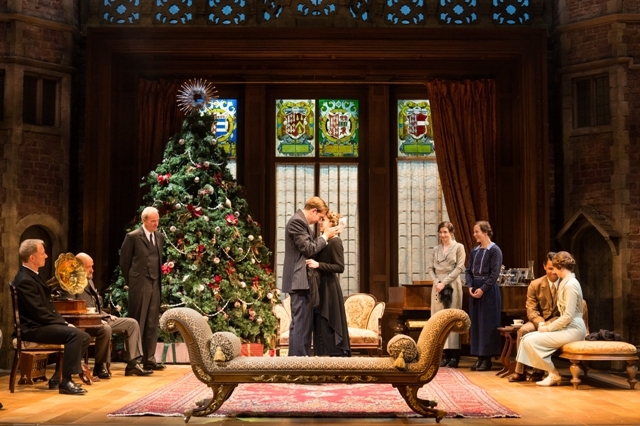 The wonderfully grandiose setting in Love's Labour's Lost - the Warwickshire manor house of Charlecote - is once again used, but this time with an overload of festive spirit. There's a huge Christmas tree and trimmings, snow and mulled wine being passed around like there's no tomorrow. It's going to be perfect for pre- and post- Christmas audiences. 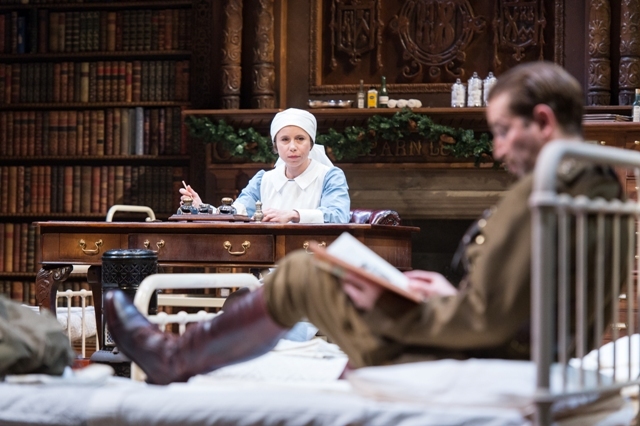 With the war over, we see battle weary First World War soldiers Benedick, Claudio, Don Pedro and Don John returning home, while our ladies Hero and Beatrice are nurses on the home front aiding their recovery. We quickly see that Benedick is a sprightly, optimistic fellow, who is always good for a laugh to lift the others' spirits, while in comparison brooding Don John simpers with festering anger and is all the more menacing as he shuffles around with a leg wound and plays a mean game of billiards. Beatrice and Benedick's history and opposition to love and marriage spark a plot between their friends to bring them together. Actor Edward Bennett is a sparky, likeable Benedick whose chemistry with Michelle Terry's fiesty Beatrice helps bring this production to life. It's played for laughs as their stubbornness and wits are pitted against themselves by their friends. The farcical scene when Benedick clambers behind curtains and up a Christmas tree to hear what is being said about Beatrice's secret love for him is hysterical and beautifully timed. It's slapstick but with style. There's plenty more slapstick too with the endearing motley crew of police and locals whose scenes have much of the Morcambe & Wise about them, mainly due to Nick Haverson's comic turn as ridiculous Constable Dogberry. There is another much darker layer to this play, however, as Don John (Sam Alexander) has a plot of his own that is far more malicious. He contrives a way of coming between another pair of young lovers - the fresh-faced romantics Claudio and Leonato - who are about to marry, by planting seeds of doubt in Claudio's mind. Although there are times when this plot can seem a little dated, with women humiliated for not being 'pure' on their wedding day, or in Beatrice's case, seen as an oddity for being so independent and not wishing to marry, it fits in with the Downton Abbey style era and set of the proceedings. 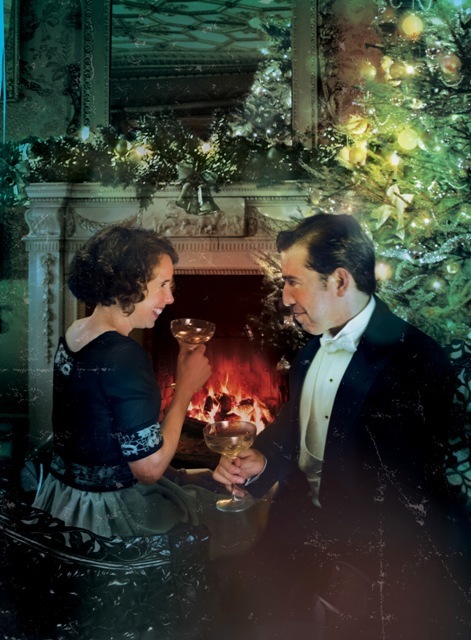 Not only are the magnificent scenery and costumes extremely lavish and coated with a sheen of Edwardian upper class lush, the drama is accompanied by a stirring live soundtrack (a handy reminder of whose good and bad). But of all this, it's ultimately Benedick and Beatrice's romance, and particularly his devotion to her, that melts your heart, and it is their scenes together that are the most tender and memorable of the production. When they all come together for a final sing-song around the Christmas tree, you'll be very merry and filled with joy too. Tickets cost £10 - £62.50 by calling 0844 800 1110 or visiting the RSC website. Where: Royal Shakespeare Theatre, Stratford upon Avon, and Theatre Royal, Newcastle.